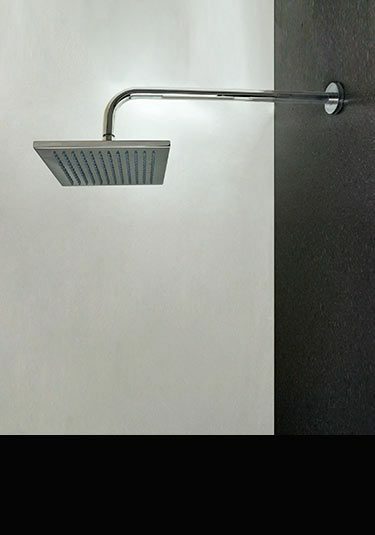 Suppliers of the latest contemporary shower head designs from Europe manufactured in chrome, nickel, gold, stainless steel and black. 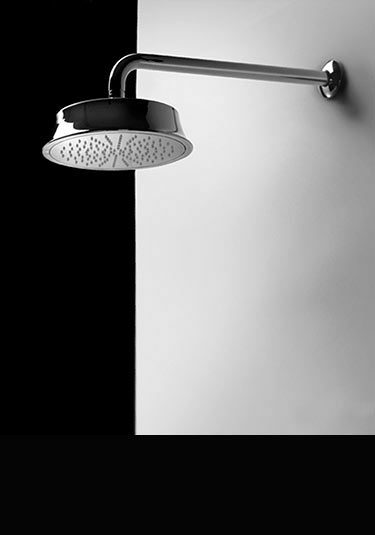 We offer our fixed shower heads for wall and ceiling mounting and in single, dual and multi-functions, including rain shower head and waterfall spray patterns. 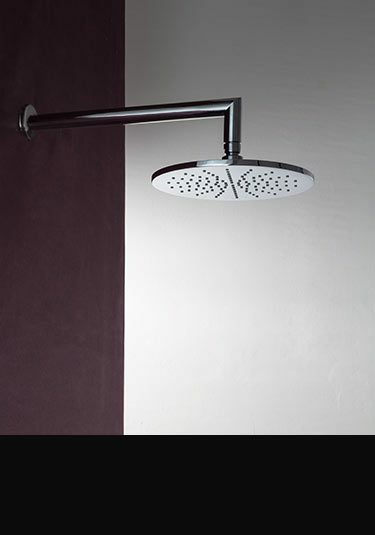 All our designer shower heads are beautifully styled and superb quality. 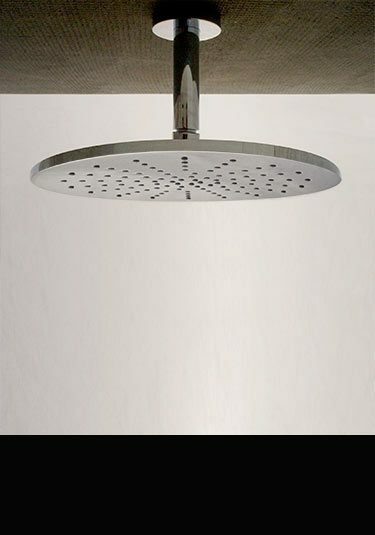 This latest shower head design is European manufactured in stainless steel, which is highly polished. 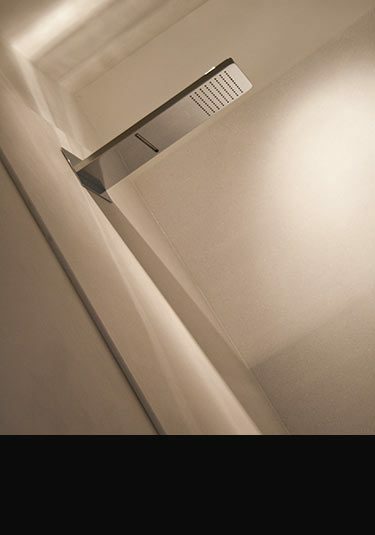 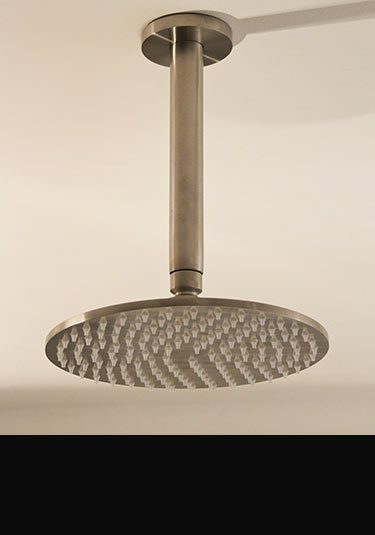 Each shower head is wall mounted and is available with a choice of 3 water jet patterns. 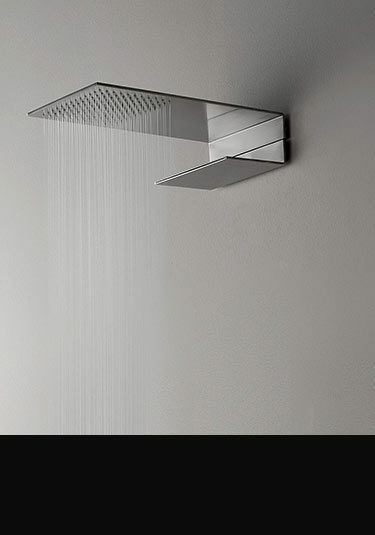 A designer shower water bar for wall mounting. 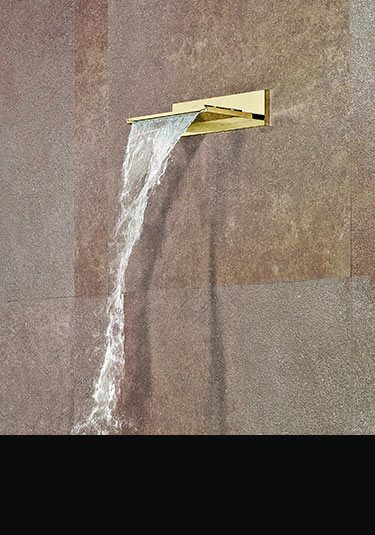 This body jet bar is made of heavy brass with a chrome plated finish and has multiple water jets producing an impressive performance. 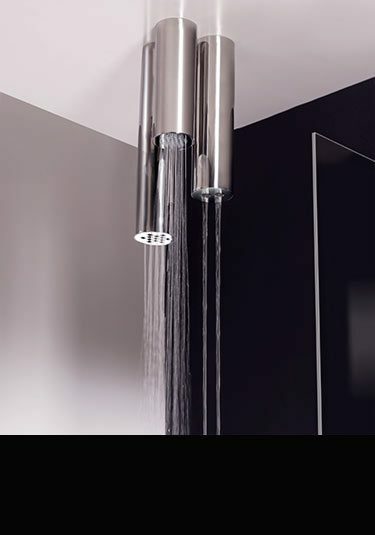 Designed and made in the EEC. 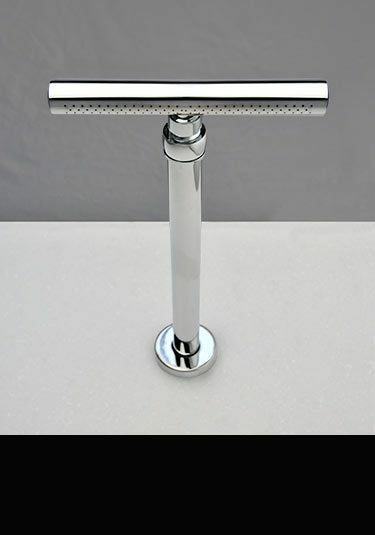 A simple T bar design in a chrome plated finish. 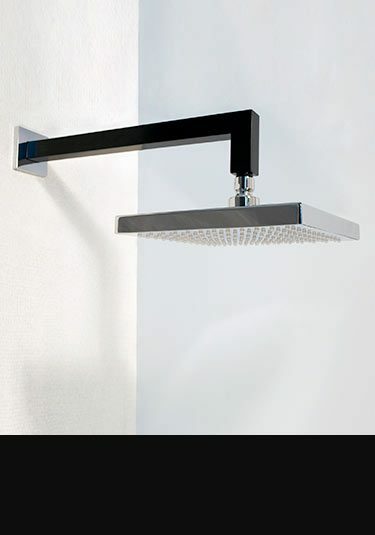 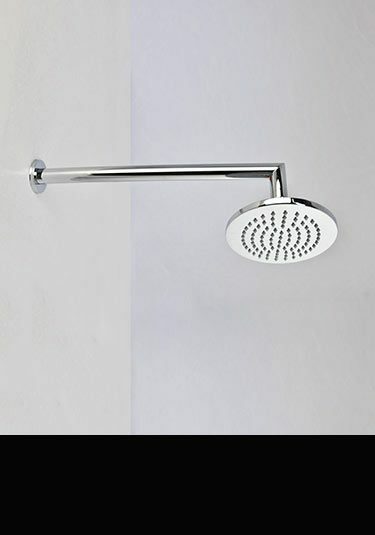 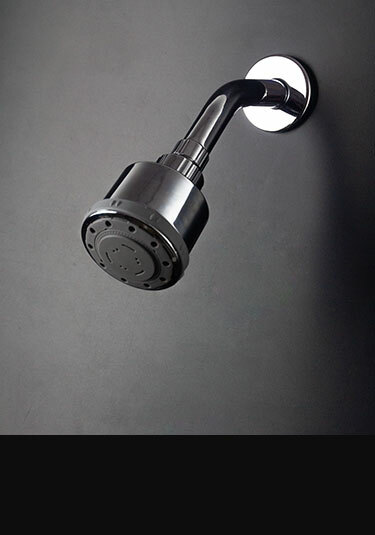 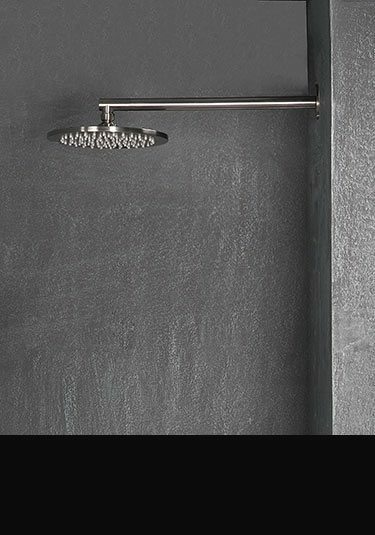 This contemporary shower head includes the shower arm and is supplied with a 5 year guarantee. 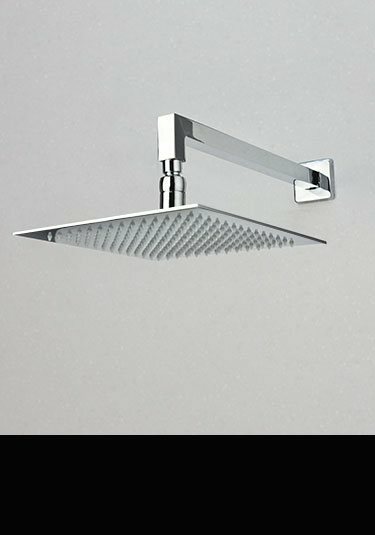 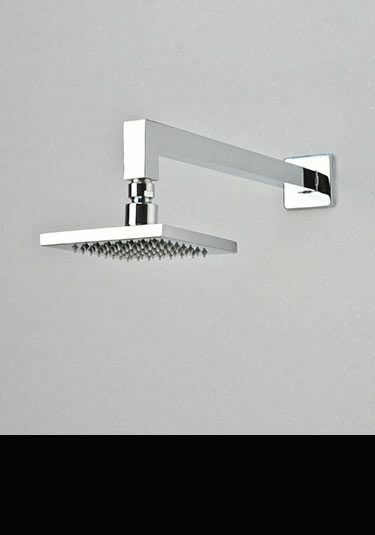 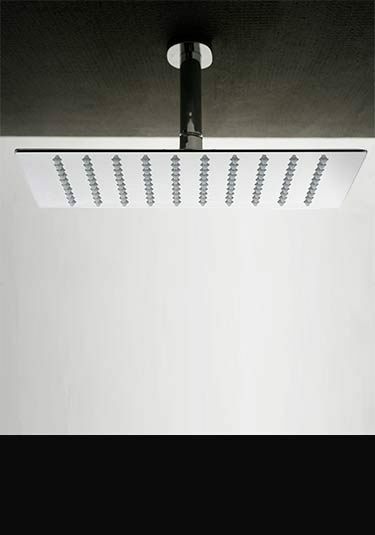 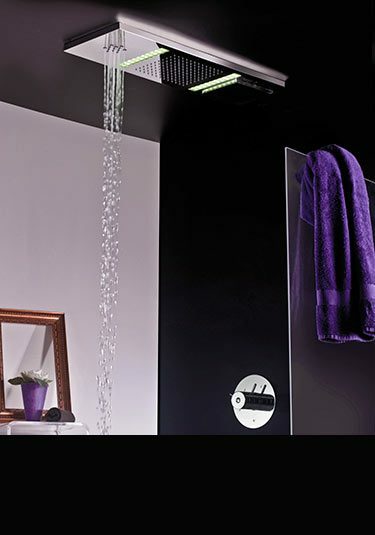 Lovely cubic shower head with a matching square style shower arm which is available in ceiling and wall mounted versions is made and manufactured in Italy ensuring beautiful quality and styling. 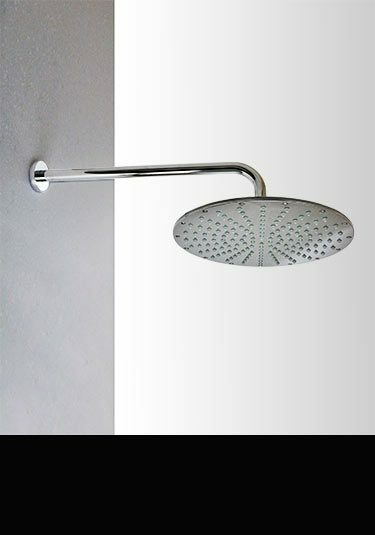 Italian 200mm round shower head with a cubic shower arm is available for ceiling and wall mounting. Made in solid brass this chrome shower head in luxury European manufactured. 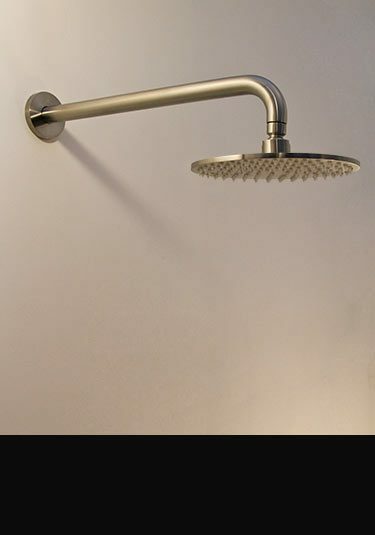 This chunky fixed shower head has a 100mm body diameter and is an impressive addition to any shower room. 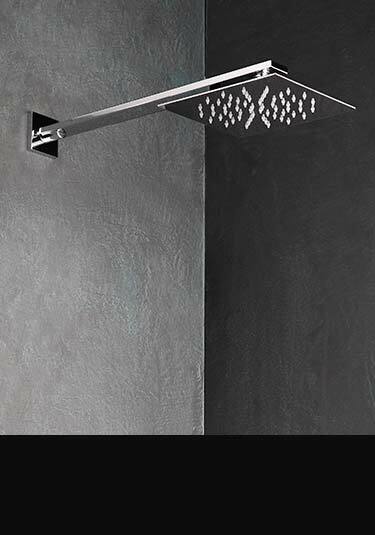 With 3 different water spray patterns and an adjustable wall arm, this designer shower is supplied with a 10 year guarantee. 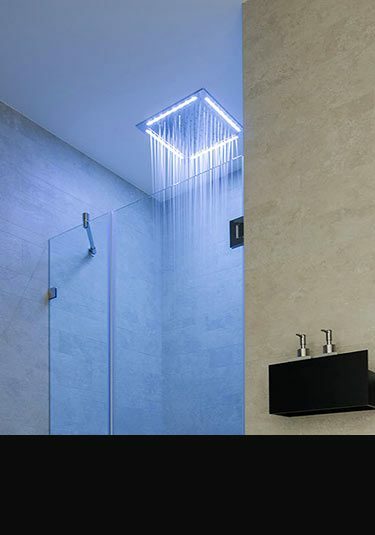 A colour changing shower head with hydro powered leds. 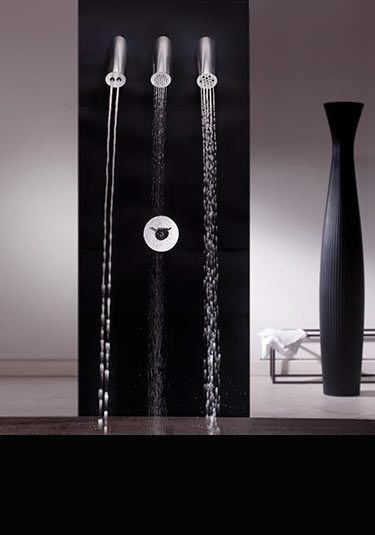 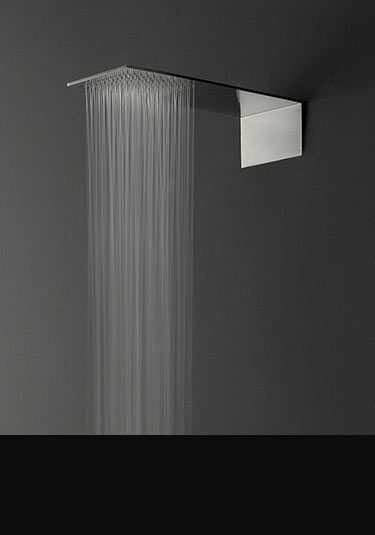 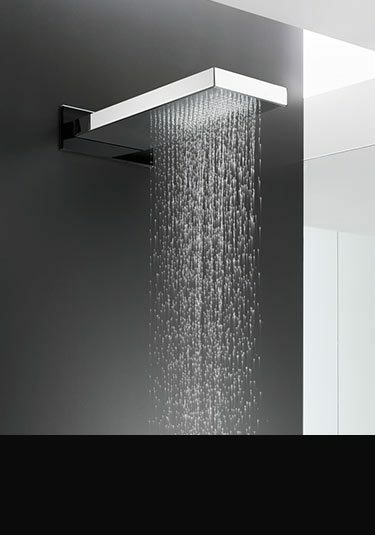 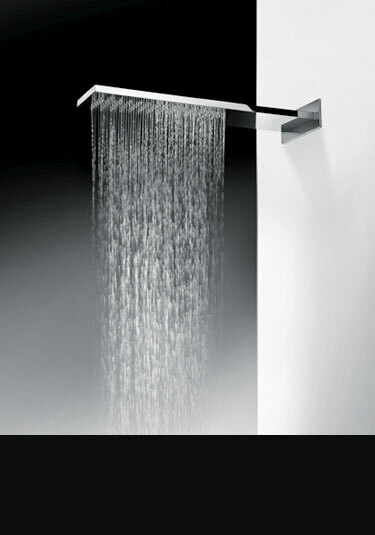 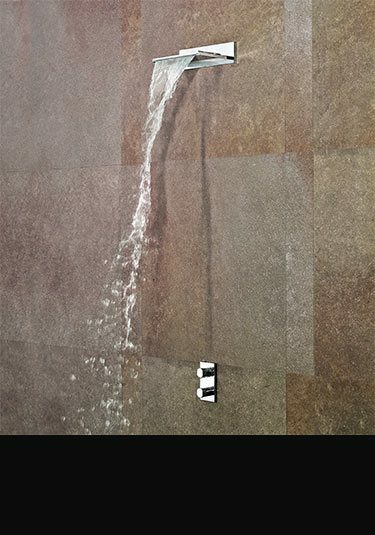 An Italian designer shower head with a waterfall drench water pattern. 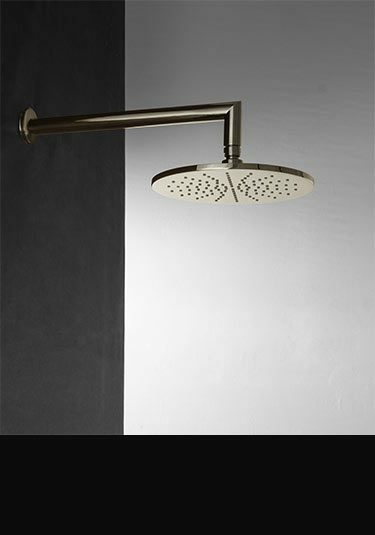 This shower head is luxury quality and is made of solid brass with a thick chrome plated finish. 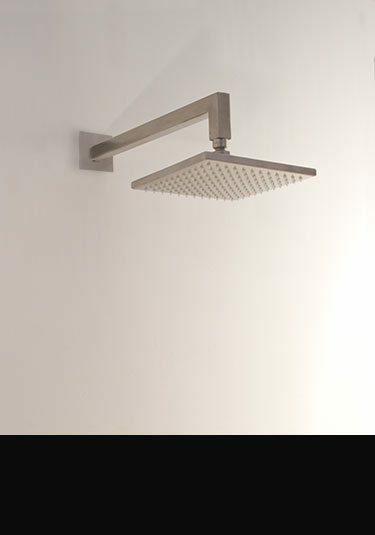 European manufactured. 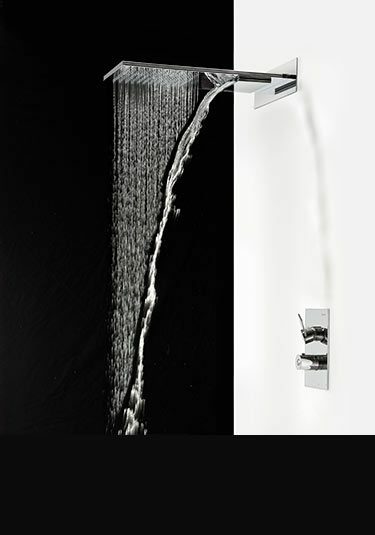 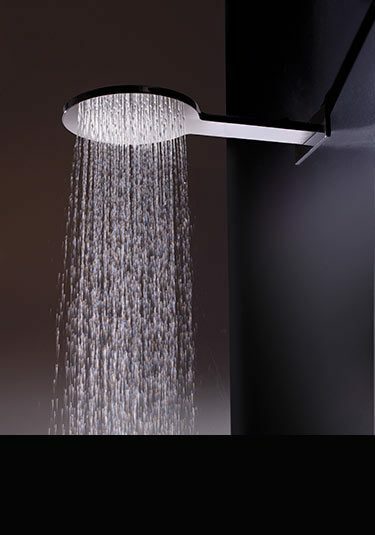 A cubic styled waterfall shower head with an adjustable rotating head. 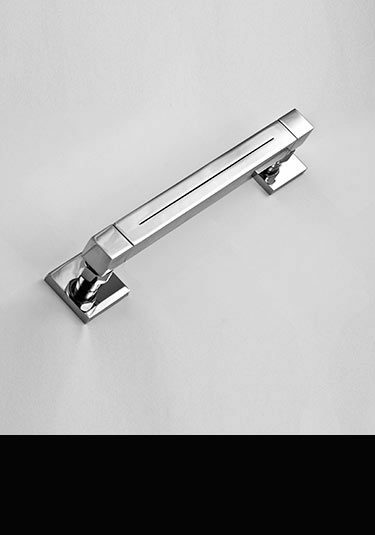 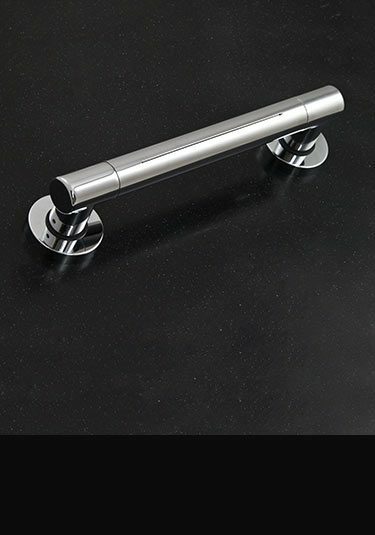 This European designed and manufactured waterfall shower bar is chrome on brass constructed ensuring high quality. 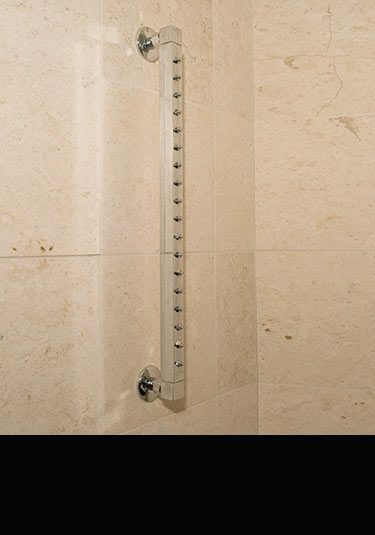 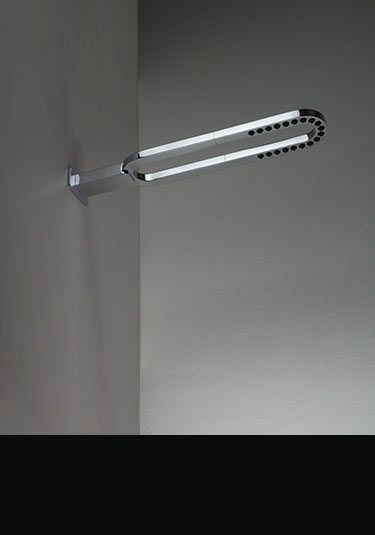 A waterfall shower bar with a rotating head which adjusts the waters direction. 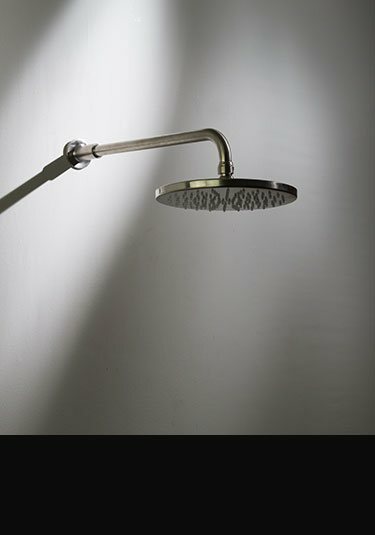 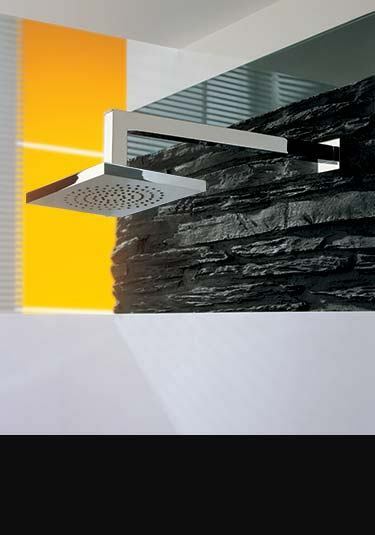 This cascading shower head is designed and manufactured in Europe and is made of chrome plated brass. 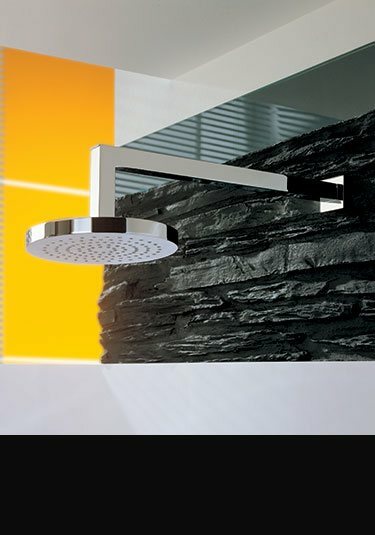 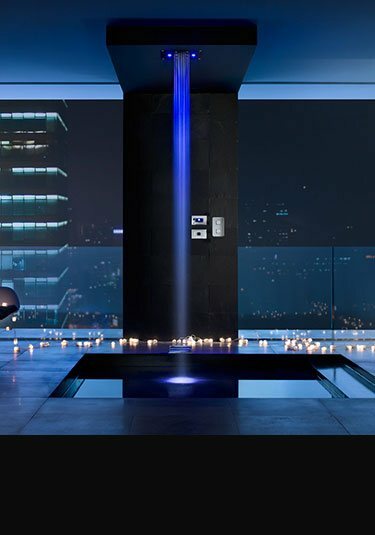 A high quality European shower valve that is available with 1, 2 or 3 shower functions. 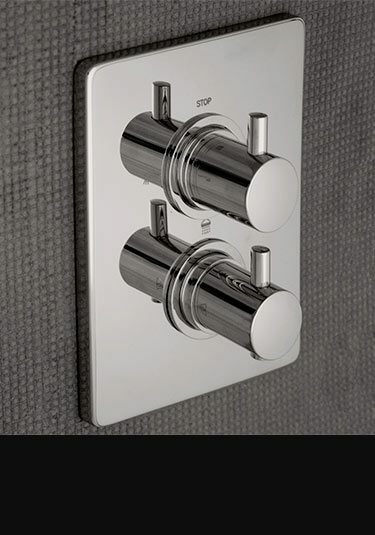 This shower control is designed for recessed into the wall installation and is made of solid brass with a chrome plated finish.